Kenya online shopping sites where consumers can buy original stuff for reasonable prices. Home Pop Culture List of online shopping sites in Kenya. List of online shopping sites in Kenya. Kenya online shopping sites best considered. Kenya online shopping sites: A go to source for figuring out the best online venues where consumers can buy original stuff for reasonable prices. Want to buy stuff online? Want to buy stuff online in Kenya? Want to buy stuff online in Kenya from the best and most reliable online shops? If the answer is “Yes” to at least one question, continue reading the following article. You will find out the best online shopping sites in Kenya, where you can buy original stuff for reasonable prices. Kenyans are known for their love for everything technological and innovative. According to the statistics, the number of Kenyans, that prefer to buy things via Internet is rapidly growing during the last couple of years, and will be growing even faster. Don’t want to waste your precious time on shopping in ordinary shops and start buying things in online shops in Kenya? Then continue reading, and you will find out about the top 10 best online shops websites, where you will be able to buy literally everything, from clothing, shoes, electronics to ballpoint pen with a digital watch. 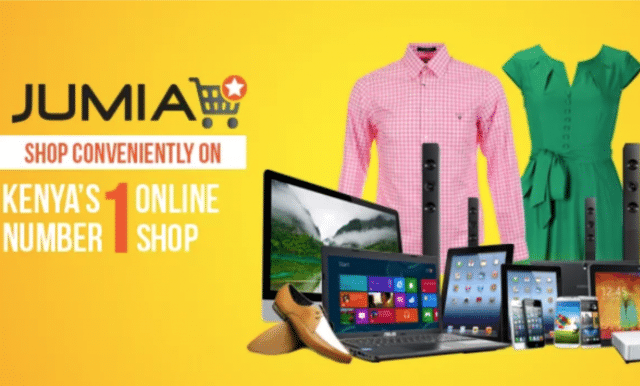 Top 10 online shops in Kenya. Here you will find absolutely everything – from a set of needles to a summer residence. It’s like world-known Chinese Aliexpress, but in Kenya. At jumia.co.ke, you can choose the needed category, for example “Beauty” or “TVs, Audio & Cameras”, set up a filter and you will find the needed product within seconds. Thanks to the websites intuitive design, even people, that are not “friends” with computers and Internet will be able to order things. You might have heard about this one as former Kaymu Shopping Online. It is another big online shop in Kenya, where purchasers and vendors can make various transactions. Here you are able to become a seller and merchandise your own products on one of the biggest online shops Kenya. It is also reliable, as you can pay for your staff on delivery. And exclusive offers will save fortunes. Want to buy more and spend less? then kilimall.co.ke is exactly for you! It is one of the cheapest shopping platforms among online shops in Nairobi and Kenya. Here you can buy phones and accessories, clothes, shoes, office products, beauty and hair products and many others. Thanks to low prices and constant discounts, you won’t waste your money. This international shopping platform, allows users to sell and buy things from each other. Almost every person in Kenya is able to create a personal account here, and sell or buy anything they want (if it’s not forbidden by the law, of course). However, most of the products are used or second-hand, thus the prices are noticeably lower than on any other online shops in Kenya. You can even further reduce prices, by bargaining with the seller. Another convenient online shop, mostly specialized on various electronic products. You might have heard about them as www.dakikaonline.co.ke. Want to buy a new car? Then you should definitely visit cheki.co.ke, the biggest car selling online platform in Kenya. Here you are able to purchase, sell and even import any car (from another five countries). The intuitive design, will help you to easily to understand the website and find the car of your dreams. This one, is definitely the most unique among online shops Nairobi and Kenya. Here you can shop for various weird, but really useful things like supermarket vouchers. There is also a possibility to pay for your electricity bills through this online shopping platform. And the best thing is, that you are even enabled to place an order via your WhatsApp straight from the smartphone. This online store is strictly specialized on clothes, shoes and various accessories. The founder and owner of mimi.co.ke is Julie Gichuru, a famous media personality. You can even find pictures of other Kenyan celebrities wearing clothes from various Julie Gichuru collections. So, want to stay in trends? Visit either mimi.co.ke or Gichuru’s physical shop in Nairobi. Men will surely appreciate this one, as here you are able to buy all kinds of electronic goodies, from smartphones and smartwatches to various interesting gadgets like tyres and speakers. Don’t forget about the possibility to pay via mPesa and Airtel Money. And finally, last but not the least, amanbo.co.ke – an African- Chinese cooperation, where you can find anything you want. Enjoyed our list of top 10 online shops in Kenya and may all your purchases be successful. You are also welcomed to share your experience about the following online shopping platforms in the comments section below. Know some other interesting online websites in Kenya, please, add a link to your comment and a short description of the online shops.